PLEASE NOTE: This event is 21+ only. 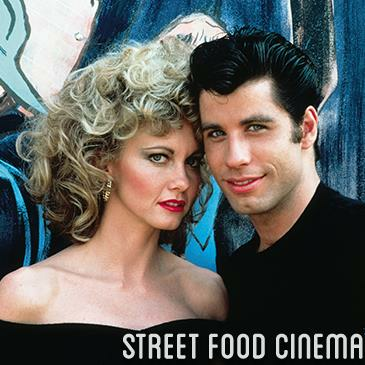 The producers of Street Food Cinema present a special edition Prom event on Saturday, March 30 at the Million Dollar Theatre! ABOUT: Good girl Sandy and greaser Danny fell in love over the summer. When they unexpectedly discover they're now in the same high school, will they be able to rekindle their romance? ADVANCE TICKET INFO: General Seating - $23. VIP Seating - $28. DOOR INFO: General Seating - $30. VIP Seating - $35. LIMITED TICKETS AVAILABLE AT THE DOOR starting at 6:30 pm. Please Note: Door may be held at any time to allow for advance ticket holders to enter. If an event is sold out, we will announce on Facebook and Twitter. TIME: Doors 6:00p. Movie 8:00p. PARKING: Suggested lot on 308 South Hill Street, Los Angeles, CA 90013. Lot not owned or operated by SFC. DOGS: No dogs allowed. Sorry for the in-canine-venience!